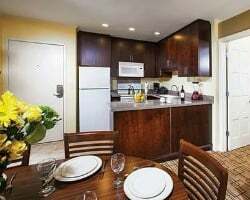 The *Winner's Circle Resort* is just minutes away from the beautiful beaches of Del Mar, California, and offers spacious studio, one and two-bedroom suites complete with private patio or balcony. It's just a 20 minute drive from San Diego area attractions, including Sea World, Balboa Park and Mission Bay. You're also minutes away from outdoor activities such as boating, fishing and golf. Play a few sets of tennis, unwind in the hot tub and step out for fresh seafood at one of the nearby restaurants. Enjoy the comforts of home with exciting attractions nearby! Highly motivated seller! Inquire for details!! All offers considered!!! Annual week 9 usage! Unit 150 is one of only 8 units that are a little larger of the three buildings! Inquire for details! Ideal location! 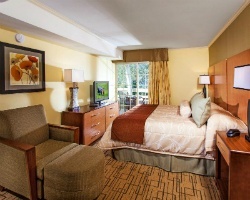 Close to SeaWorld, LEGOLAND and more! Buyer may receive a title fee credit, inquire for details! Cozy resort in California with lots of nearby attractions! Week 35! Buyer may receive a title fee credit, inquire for details!! Fantastic resort close to all of the area attractions! Yearly in September week 37! Buyer may receive a title fee credit; inquire for details! South California gem close to the beach, the Del Mar racetrack, San Diego & area attractions! Yearly in July week 30 in Race season! Make an offer! Resort is near beautiful beaches, well known attractions and much more! Buyer May Receive A Title Fee Credit, Inquire For Details! Annual week 23! Each suite has either a private balcony or patio! Wide variety of onsite and nearby activities! Ideal location near popular attractions such as SeaWorld, legoland and more! Buyer May Receive A Title Fee Credit, Inquire For Details! Gorgeous resort! Annual week 12. All reasonable offers will be considered. Red week 11 annually! Price is negotiable. 2 Storey Unit With Sprial Staircase And Pool View! Close To The Beach! All Reasonable Offers Will Be Considered. Week 40 every year - Week 39 also available, see Ad 1121544, purchase both for just $3,500! Yearly usage in September, Red season week 39! Week 40 also available, see Ad 1121048, purchase both for just $3,500! Luxurious resort close to many attractions! Yearly usage in a floating week! Reasonable offers considered! Red week 5! Price is negotiable. Vacation Near the Beaches of Del Mar, California! & San Diego - So Much To Do! - Make an Offer!All reason offers Will be considered!! Just a short drive to many popular attractions available for all ages! Buyer May Receive A Title Fee Credit, Inquire For Details! High demand week 7-- President's Week every year at this amazing San Diego resort! Make an offer today! Just a short drive to a variety of attractions! Available during week 18! Buyer May Receive A Title Fee Credit, Inquire For Details! Near Del Mar Racetrack during horse race season. 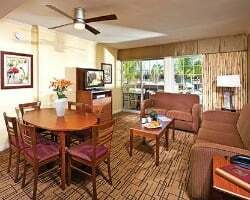 Close to beach & only 20 mins north of San Diego Zoo, SeaWorld & other attractions. Make an offer! Perfect California resort with many nearby attractions! Buyer may receive a title fee credit, inquire for details! Awesome resort close to all the southern California fun! Yearly usage in March in prime Red season week! Negotiable!